The Gulf region is projected to endure heatwaves challenging human survival and adaptability if climate change is left unchecked, as computed in an important study. greenhouse gas concentrations are responsible for the Earth’s warming in recent decades. Jeremy Pal and Elfatih Eltahir, at MIT, present a study showing projections of regional climate patterns due to expected increases in temperature and discuss the possible impacts on human health and societies for the gulf and Arabian peninsula, a region already recording high temperatures. 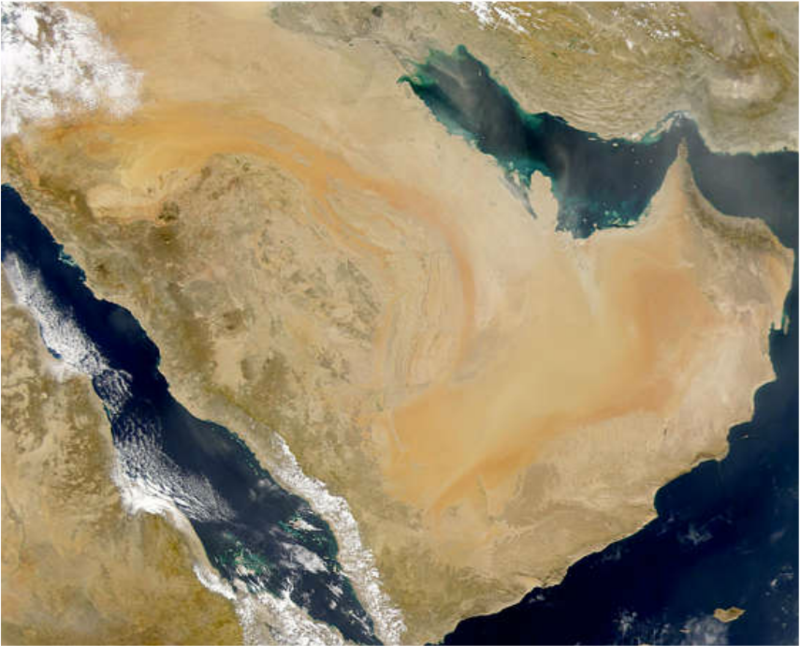 A regional climate model for Southwest Asia was customised using 3 IPPC global climate models allowing detailed representation of topography, coastlines, extreme climatic events, and physical processes. The scientists considered both dry-bulb temperature (T) and wet-bulb temperature (TW); indices used to investigate the impacts of climate change on heat stress. TW is a combined measure of temperature and humidity, or `mugginess', and provides a physically based relationship to the human body's core temperature. The maxima values for T that humans can endure is arbitrarily set at 60°C, and values exceeding 50 °C have already been reached in parts of this region over the past 30 years. Similarly, the cut off threshold for TW that humans can endure is 35°C and values up to 31 °C these have already been reached in parts of this world. For some of the gulf coast locations, low-elevation areas close to sea level experience high T, and those near the coast see high humidity. The authors used two greenhouse gas concentration scenarios, based on IPPC trajectories, in their calculations to predict the impacts of future climate change on Southwest Asia: one representing business as usual scenario (no proactive strategies to limit greenhouse gas emissions (RCP8.5) and another which considers mitigation (RCP4.5) . The results show that under the business as usual scenario the area characterized by TWmax exceeding 31°C is projected to expand to include most of the Southwest Asian coastal regions adjacent to the Gulf, Red Sea and Arabian Sea, with several coastal regions even exceeding the 35 °C threshold. The study also predicts that by the end of the century, annual TWmax in Abu Dhabi, Dubai, Doha, Dhahran and Bandar Abbas will exceed 35 °C . 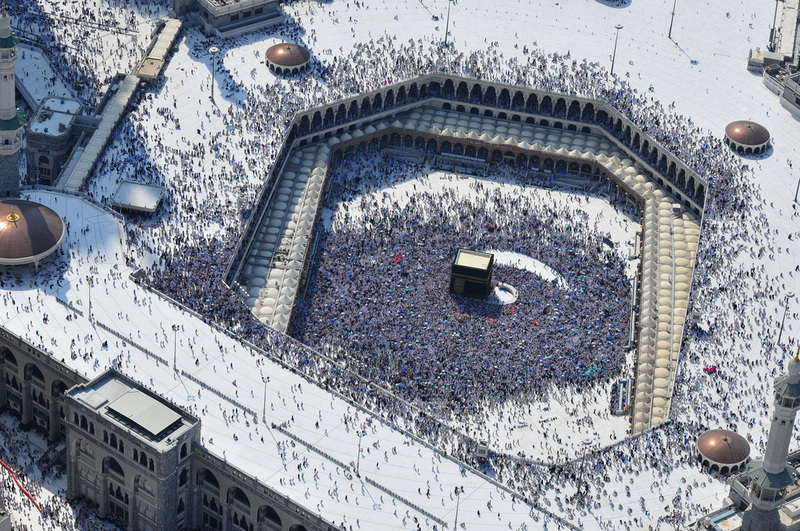 Further, extreme T max summer events beyond 45 °C will become the ‘norm’ and could pose a threat to the hajj pilgrimage during summer cycles in Saudi Arabia. The temperature in Mitribah, Kuwait, reached 54 °C on 21 -7-2016, the hottest temperature recorded outside of Death Valley, California.